Put your name in front of the people who matter and get you message in front of key decision makers. With over 2,000 logins per day, your Billboard will be noticed by a defense products and services community! A Billboard is the best way to promote your company, your products and your services to buyers whom are looking for your capabilities. Billboards are placed directly next to the Log-In area so you are guaranteed Govgistics end users will view your message. Every member must log in and there is nothing else on the page except your very large Billboard Ad which is the only billboard displayed during the session. Govgistics members view on average over 25,000 pages per day. Your run-of-site banner is displayed on every page and is in front of every buyer and key decision maker. Are you ISO certified or compliant? Is your business HUBZONE Certified? Do you provide packaging, RFID and labeling to the defense community? Let your message stand out and find business you never knew existed from companies looking for just what you’re offering. With more than 800,000 company records including active CAGE code holders, Govgistics can help you get your message delivered to the inboxes of key decision makers that are looking for what you’re offering. 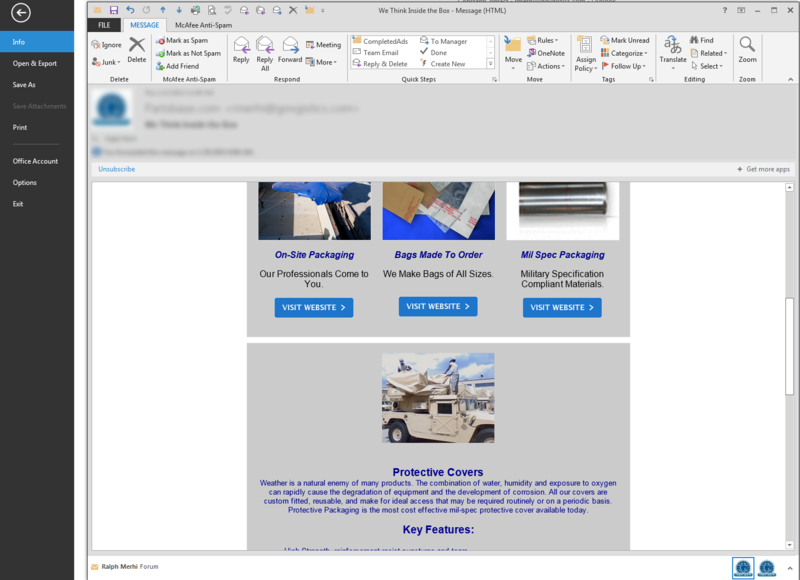 Govgistics also offers a complete email marketing service that includes preparation of the artwork, execution and reporting done the way you do business. Choose your audience from large and small companies and every one in between. Our solution can be tailored to fit your needs whether your intent is to reach a micro audience or a larger one with select industry types or geographic location. Would you like to re-engage your customer base to announce a new product or service? Let us know and we will gladly include your list as part of the service provided. Let Govgistics build your market footprint by delivering your marketing message where it's needed. Email marketing drives clicks and gives immediate results to your brand or promotion. Link directly to your company website to generate more on-page traffic. Whether you want to reach your target audience once or create a scheduled and deliberate campaign designed to place your brand in your audience's direct line of site, Govgistics can help drive your brand. Create a successful marketing campaign using quality defense, aviation, industrial oriented companies and contacts. Uncover key companies and contacts by having the ability to create marketing mailing lists by Location, PSC, NAICS and Business Type Codes and location from active and registered companies. In addition to these details, contact information includes contact name, company name, email address, and mailing address. Your potential mailing list from Govgistics is will be created and delivered to you quickly and delivered in TXT, CSV or XLSX format via electronic means. For additional information and to inquire about additional available services please complete the form below and tell us a little bit about what you’re looking as well as any additional questions you may have. Upon review, we will schedule a brief tele-conference with you to go over your available options. For immediate help please call 561-953-0769 x2212.